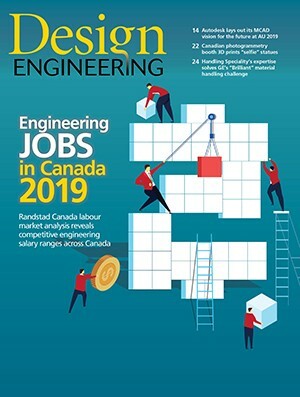 July 10, 2014 by Design Engineering Staff Danfoss RDM features a 12V integrated proportional shifting valve that allows on-the-go reversing using system pressure. July 2, 2014 by Design Engineering Staff HARTING monoblocks expand utility of Han-Eco, Han-Yellock connectors. July 2, 2014 by Design Engineering Staff Baldor Electric Company's GPM Induction Motor product line features wide stock rating range. June 24, 2014 by Design Engineering Staff Miki Pulley Step-Flex coupling solves resonance in steppermotor/ball screw assemblies. June 24, 2014 by Design Engineering Staff Ruland thin line collars deliver high holding power in a compact design. June 18, 2014 by Design Engineering Staff Shimpo Drives STH actuator supports most small to medium servo motors. June 18, 2014 by Design Engineering Staff B&R reACTION technology module reduces cycle times in peripheral devices to 1 µs. June 16, 2014 by Design Engineering Staff Beckhoff I/O modules feature stainless steel housing and IP 69K rating. June 16, 2014 by Design Engineering Staff SKF coating adds protection layer to bearings designed for wind turbines. June 5, 2014 by Design Engineering Staff CARLO GAVAZZI multi-voltage sensor features relay output and optional time delay.